Have you ever heard about video for business? Yes, I am talking about making some videos for promoting your business. In this information technology era nowadays, we share almost all of our information through internet. Whether it is public information or private information, it can be shared freely. As the rapid growth of social media or social networking sites, everyone in this world can share their photos, images, videos to any other people in a very different way from what people did in the past, let say 20 years ago. 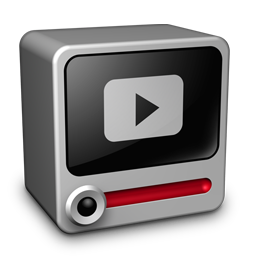 You can upload your video to YouTube, to be seen by millions of people from all over the world. Imagine that! How much does it costs you for putting your business advertisement on television or newspapers? You can also get the same results, and when done right, even better, by submitting your business promotion and advertisement in the form of video to a video directory site such as YouTube and you can post the video on social media or social networking sites. The next option for creating videos for your business is the possibility to hire someone to do the video production, promotion and submission for you. I do believe that you can do this process easily alone by yourself. But it takes a good bit time to do this, so outsourcing can be a time saving option. For me video production is as sweet as eating candy, but some people are a-technical or just don’t want to be bothered with it. So the video production step can be outsourced if you don’t have the necessary video production skills. Before you want to start with making videos for your business, first you must specify what exactly your business is that you want to promote by using video marketing. After you have decided that, then you begin with the video production process. The purpose of your business videos is to attract a lot of people’s attention, so they want to visit more of your site and see more of your videos. The special thing about video is that it tells a story completely different than written text. And you can surely be very creative. A “behind the scenes” video of what goes into creating your products or services. Interview your most enthusiast clients and ask them about their success. Interview your most passionate employees. Record screen casts, so that people know what they’re getting into. Create educational content that helps people to better use your product or service. Those are just five potential things one can do with video for business. The most crucial thing is to put the right kind of information about your business in the video. It can be some text or message in the video that contains information about the business that you are promoting. It can be the URL of your website or the name of the products which you are selling. A call to action in the video is also very effective. If you are not familiar with making videos for your business, you can practice the process and learn it. By practising video techniques for your business on a regular basis, you will get used to the processes, from the video production process to the video marketing process. Soon videos will dominate the internet, so I think right now is the right time to start learning all about video for business. This type of knowledge is a must for good business organization.